The Japanese version of Agreement above is the original document and sets forth the conditions of this transaction. The English version of Agreement is provided for reference purposes only. 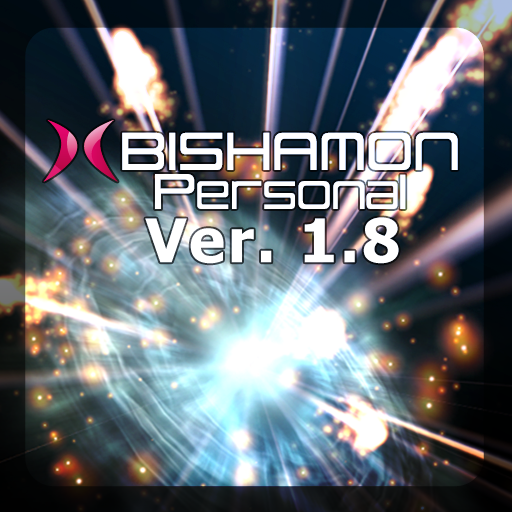 Matchlock Corporation (referred to below as “Company”) grants you the right to use the BISHAMON version applicable to your purchase and installation including Personal Version 1.8 Tool Subscription, Personal Version 1.8 Tool Standalone, and Personal Version 1.8 SDK (referred to below as “Software”). Important: Please carefully read this Software License Agreement (referred to below as “Agreement”) to fully understand the Agreement terms and conditions before installing or using Software. **Agreement establishes the contractual terms and conditions between you, Software user, and Company. Please retain a copy of Agreement for your records. If you agree to all Agreement terms and conditions, select “Agree” below and proceed with installation. By selecting “Agree” you enter into a contract with Company and Company grants you a license to install and use Software. By installing and/or using Software regardless of method, you agree with all Agreement terms and conditions, enter into Agreement with Company, and Agreement has binding effect on you and Company. If you are a representative or employee, you hereby represent and warrant that you are duly authorized to act on behalf of the person or persons you represent or your employer, as the case may be, with binding effect. In Agreement, “you” means the person who holds a Software license and installs and/or uses Software. 1.1 All Software copyrights and intellectual property rights belong exclusively to Company, regardless of whether a valid Software license was obtained from Company or any third party, and are protected by Japan copyright laws, copyright laws of other relevant countries, and applicable treaties. 1.2 Company maintains the exclusive rights to all Software copyrights, industrial property rights, and ownership rights. These exclusive rights are maintained by Company even in instances including but not limited to Software being fixed or modified by any third party based on opinions expressed through social networking services, electronic bulletin boards, or the like. 2.1 In accordance with Agreement terms and conditions, you are granted a non-exclusive, nontransferable, paid-for license to use Software. 2.1.1 If you purchased the Personal Version 1.8 Tool Subscription version of Software, unless otherwise previously and expressly agreed in writing between the parties of Agreement, you may install this version of Software on 2 devices and use it for 1 year from the date of purchase. 2.1.2 If you purchased the Personal Version 1.8 Tool Standalone version of Software, unless otherwise previously and expressly agreed in writing between the parties of Agreement, you may install this version of Software on 2 devices and use it from the date of purchase without time limitation. 2.1.3 If you purchased the Personal Version 1.8 SDK version of Software, unless otherwise previously and expressly agreed in writing between the parties of Agreement, you may install this version of Software on 1 device and use it from the date of purchase without time limitation. 2.2 You may copy Software but only for the express purposes of backing up and/or otherwise saving Software. 2.3 Company maintains the exclusive rights to distribute Software, and Software is protected by relevant copyright and intellectual property laws. 2.4 You, except otherwise explicitly set forth in Agreement, are not granted any rights either express or implied to Software or any recording medium containing Software in whole or in part. Company and the original Software authors retain and will continue to retain all rights to and interests in Software as well as Software contained in whole or in part on any recording medium. 3.1 You may not alter, reverse engineer, decompile, disassemble Software in any manner. lease, and/or otherwise transfer Software to a third party. manual and relevant Software documentation. 3.5 You may not remove or change the Software copyright notice or distinguishing marks of Software. 3.6 You may not use Software with respect to business with any company, organization, or individual with annual sales exceeding 10,000,000 yen regardless of whether such business is for profit or not. 4.1 Company provides and you accept Software “as is”. Software’s quality or fitness for any particular purpose or any Company communications regarding Software including but not limited to communications on social networking services, electronic bulletin boards, or the like. 4.3 Problems with respect to Software shall be your sole responsibility and resolved at your own expense. 5.1 Regardless of circumstances, Company is not responsible for any direct, indirect, consequential, collateral, punitive, special damages (even if such damages were foreseeable), or any damages from lost income or profits, data loss, or corrupted data. 5.2 You indemnify and hold Company harmless from any and all third-party claims made against you relating to losses or damages with respect to Software. 6.1 Agreement shall be effective from the day Software is downloaded or the day you install Software, whichever is earlier, and shall remain in effect indefinitely unless otherwise terminated according to Agreement. 6.2 If you violate any of the Agreement provisions, Company may terminate Agreement immediately and without notice. Company may make claims against you for damages incurred from your breach of contract. Upon Agreement termination, you shall immediately delete and/or erase Software and any copies of Software in whole or in part saved on your hardware (including any device with fixed storage capable of containing records). 7.1 You agree to not ship, transfer, or export Software or the information or technology contained within Software to any country for which Japan or other relevant countries have trade restrictions that prohibit such shipping, transferring, or exporting. 7.2 You may not under any circumstances directly or indirectly export, re-export, resell, or ship Software to a third party or cause a third party to use Software without obtaining the prior written consent of Company and all necessary authorizations from the Japanese Government and other relevant foreign governments. Even if you obtain the aforementioned consent and authorizations, you agree to use Software (including its technical information) in compliance with all applicable laws and regulations of Japan as well as any other relevant countries governing trade (referred to below as "Export and Import Regulations"). You agree to not export, directly or indirectly, Software or any of its byproducts in violation of Export and Import Regulations and not use Software for purposes of nuclear, chemical, or biological weapons proliferation, or development of missile technology in violation of Export and Import Regulations. 8.1 Software is subject to change without prior written notice. 8.2 Japan law shall govern Agreement. The jurisdictional court of first instance for settling any disputes related to or arising from Agreement shall be the Tokyo District Court. 8.3 Any matters not covered in Agreement shall be handled in accordance with Japan copyright laws and/or other relevant laws and regulations of Japan. 8.4 You hereby understand and agree that the terms and conditions of Agreement govern in any and all claims and disputes arising between you and Company with respect to Software or its use thereof even in instances where you enter into a contract with a third party (i.e. sales contract, lease contract) whereby you receive a Software license. Furthermore, unless otherwise expressly set forth in Agreement, you shall indemnify and hold Company harmless from any responsibility and liability and no covenants or agreements between you and any third party shall have no effect on Company. 8.5 Software may contain intellectual property, such as open source software, of a third party other than Company's affiliates. In such cases, you must comply with the terms and conditions of the software license agreement covering such third-party software or intellectual property. Company and such third parties disclaim any and all warranties and liability for third-party software and any intellectual property thereof. 8.6 If you use Software in conjunction with other software in which a third party has an interest, you must comply with all terms and conditions of use for such software. If such compliance causes any restriction on the use of Software, Company disclaims any and all warranties and liability concerning such restriction. 8.7 Matters not provided for in Agreement or ambiguity arising between you and Company with respect to Agreement shall be resolved in good faith consultation. 9.1 In accordance with Agreement, you agree to pay the separately agreed applicable license fee for the version of Software (i.e. Personal Version 1.8 Tool Subscription version license fee, Personal Version 1.8 SDK version license fee, Personal Version 1.8 Tool Standalone version) purchased. 10.1 Provisions 2.3 and 2.4 of Article 2 (Rights), as well as all the provisions of Article 4 (Limited Warranty), Article 5 (Limitation of Liability), Article 6 (Contract Term), Article 7 (Export Control), Article 8 (Other), and Article 10 (Survival) shall survive the termination of Agreement. © 2011 Matchlock Corporation. All Rights Reserved.